Hero Renewable’s Solar PV team has over 6 years experience in the design, supply, installation and support of a wide variety of Solar PV systems up and down the UK. We are incredibly well placed to advise you on any type of project, from the smallest domestic system to huge-scale commercial solar farms. To Request a quote for your Solar PV System, Contact Us Today. 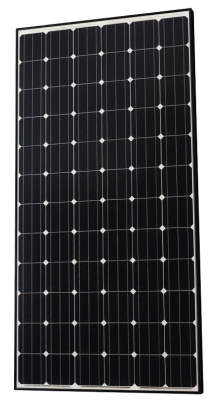 Solar Photovoltaic Panels (Solar PV Panels) can now be found everywhere. On top of homes and businesses, mounted on yachts and caravans, next to roadsides powering signs and billboards, even on the roofs of bridges. Solar PV Panels use the suns energy to produce electricity that can be used in your home, office, warehouse, industrial units and farms for absolutely free. Solar PV panels are a relatively inexpensive way of installing renewable energy in your home or business. 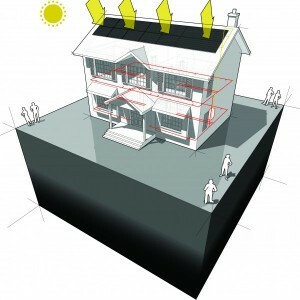 The main advantage of solar panels is to be found in the cost of electricity. Electricity is widely know as being the most expensive form of fossil fuel in the UK, and as a country we spend close to 60 Billion pounds a year purchasing it from our suppliers. Installing a 4kW Solar PV system could save you on average around £200 from your home electricity bill, and that’s before you account for your income from the Feed In Tariff and Export Tariff. Large manufacturing operations with most of their activity being performed in the day could save astronomical amounts of money by installing solar panels. Get in touch with our team today to see exactly how much you could save, and how we can help you. Solar Panels work by allowing particles of light (or Photons), to knock electrons free from atoms, this creates a flow of electricity. Solar PV Panels need to establish an electrical field which occurs due to opposite poles, when these poles are separated the electrical field is generated. Each solar cell within a panel is actually 2 layers of silicon, one is given a positive charge and the other negative. This creates the electrical field at the junction between the silicon layers. When a photon of sunlight knocks an electron free, the electric field will push that electron out of the silicon junction. Metal plates on the edge of each solar cell collect these electrons and transfer them to wires, these electrons can now flow like electricity bought from the gird. However, the electricity generated is DC or ‘Direct Current’ and it must be changed to AC or ‘Alternating Current’ to be used in the home. This final step is performed by an Inverter.